Hotel Sabóia or Savoy Hotel is the pet name for our farmhouse near Sabóia town and train station. It gives us access to civilization while we are still building on the land (13 km away) and preparing for an unplugged life in nature. It is a place where the train and bus arrive, UPS and the mailman deliver and drinking water comes from the tap. Where we can take a hot shower, open the fridge and cook a meal or connect our laptops to the Internet. Where you can go shopping or visit the village pub. It is in itself a fairly large property with capacity for many tents and caravans and a field to grow vegetables. 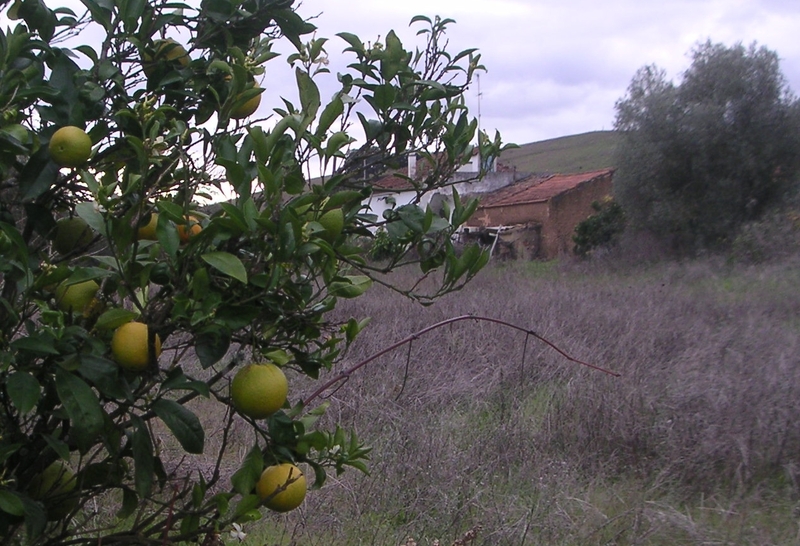 There are olive, orange and pomegranate trees, and a small river that flows all year. The farmhouse is old and the first thing we are going to do is renovate it in order to create a beautiful meditation room, a larger kitchen and more bathroom facilities. And a natural swimming pool. Don’t be mistaken by the nickname, we are not really going to run a hotel or a even guest house. If you want to come as a visitor you are welcome to join the meetings and meditations. But if you want to live with us, whether for a short or a longer period, it cannot be as a hotel guest but only as a participant in the Osho Garden project. Wishing is good but there is more that we can do about it. We can take things in our own hand in 2010. To promote your happiness Osho recommends meditation on a daily basis. It’s the cure for all varieties of unhappiness. And as far as your health is concerned I was surprised to learn that medical science has already found the causes of cancer, heart failure, diabetes, kidney stones, osteoporosis, MS, Alzheimers and many other degenerative diseases. And the cure too, believe it or not! Yes I know, if you remember Hulda Clark’s books with titles like “The cure for all diseases” you may be understandably skeptical about yet another claim of a cure-for-all. So was I, until a friend sent me a link to a videotaped lecture by Professor T. Colin Campbell, who studied medical records of large populations over many years. The results as explained in his book “The China Study” show that we are all fooled by the good old food pyramid and the dairy industry. We are led to believe that their products are necessary and health promoting, whereas the contrary is already known for some time and proven beyond doubt: Actually it makes you sick. I used to think that the choice for a vegetarian diet was based mainly on moral, ecological and aesthetic considerations. That eating a piece of free range chicken or a chunk of wild salmon would not hurt. But here is news for all you part-time vegetarians: A vegetarian diet containing absolutely no or at most very little proteins from animal sources will almost certainly save you from most of the diseases that are filling hospitals and nursing homes and cause so much suffering. It will not only prevent but can even reverse or improve existing health issues! If you can spare the time you might enjoy to watch his lecture (google Colin Campbell video).